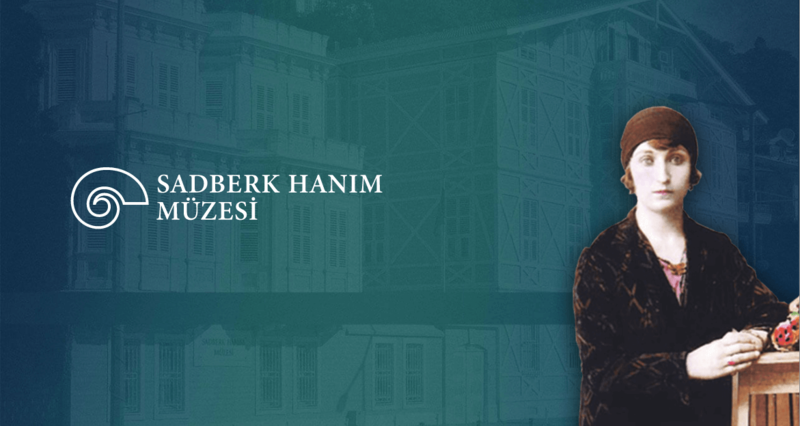 Vehbi Koç Vakfı Sadberk Hanım Müzesi İktisadi İşletmesi Processing Personal Data Information Notice a) Data Controller and Representative In accordance with Act 6698 for the Protection of Personal Data (“KVK Act”), your personal data may be processed by the Vehbi Koç Vakfı Sadberk Hanım Museum İktisadi İşletmesi in the capacity of data controller, under the following terms and conditions: b) Purposes for Which Personal Data May Be Processed In accordance with the conditions and purposes relating to personal data processing as laid down in Articles 5 and 6 of the KVK Act, your personal data collected by our institution may be used for ensuring the legal and commercial security of the institution and persons associated with it in a business capacity; to assist our institution in providing appropriate products and services offered by the institution, customized to suit your likes, habits and needs; to plan and implement commercial and business strategies; and to execute human resources policies. c) To Whom and for What Purpose Processed Personal Data May Be Transferred In accordance with the conditions and purposes relating to personal data processing as laid down in Articles 8 and 9 of the KVK Act, your personal data collected by our institution may be transferred to our business partners, suppliers, companies belonging to the Koç Group, shareholders, legally authorised public institutions and individuals, for the purposes of ensuring the legal and commercial security of the institution and persons associated with it in a business capacity; to assist our institution in providing appropriate products and services offered by the institution, customized to suit your likes, habits and needs; to plan and implement commercial and business strategies; and to execute human resources policies. ç) Method and Legal Reasons for the Collection of Personal Data: Your personal data is collected by our institution through various different channels and for performance of our legal obligations. Your personal data collected for legal reasons may be processed and transferred for the purposes specified in paragraphs (b) and (c) of Articles 5 and 6 of the KVK Act in accordance with the conditions and purposes relating to personal data processing as laid down in these articles. d) Rights of Personal Data Holders as Listed in Article 11 of the KVK Act If you, as the owners of personal data, communicate to the Company your requests concerning your rights by any one of the methods set down in this Information Notice, our institution undertakes to meet your request in the shortest possible time and in a maximum of thirty days, depending on the nature of such demand. However, if the transaction involves a fee as laid down by the Personal Data Protection Board, you will be charged in accordance with the tariff determined by the institution. Accordingly, personal data holders have the following rights: To learn whether their personal data has been processed or not, If their personal data has been processed, to request information about this, To learn the reasons why their personal data was processed and whether it was used appropriately for these purposes or not, To learn the identity of third parties to whom their personal data has been disclosed or transferred, whether at home or abroad, If their personal data has been processed incompletely or inaccurately, to request that this be corrected and that third parties to whom their personal data has been disclosed or transferred be informed about this correction, If, despite their personal data being processed in compliance with the KVK Act and other relevant applicable laws and regulations, the reasons for processing the data no longer obtain, to request that their personal data be deleted or destroyed, and accordingly to request that third parties to whom their personal data has been disclosed or transferred be informed about such deletion or destruction, To object to any injurious consequence for the person concerned arising from analysis of their processed personal data, when such analysis is carried out exclusively by automatic means, To claim indemnification for their damages and losses if these are due to unlawful or illegal processing of their personal data. According to Clause 1 of Article 13 of the KVK Act, your request to exercise your rights as specified above may be forwarded to the Company in writing or by other means laid down by the Personal Data Protection Board. Since the Personal Data Protection Board has not at this stage defined any method other than writing, you should apply in writing to the institution in accordance with the KVK Act. The channels and means by which you can send your written applications under Article 11 of the KVK Act to our Company are explained below. In order to exercise your rights as specified above please make your request, including information required for your identification and explanations regarding which of the rights laid down in Article 11 of the KVK Act you wish to claim, please fill in the form that can be downloaded from www.sadberkhanimmuzesi.org.tr and send a signed copy to Büyükdere Piyasa Cad. No: 27-29 Sarıyer/İstanbul. Documents proving your identity can be taken by hand to the same address, sent through a notary public or other methods specified in the KVK Act; or if the form has a secure electronic signature it may be forwarded to shm@biri.com.tr .